Those are some facts and figures shared at the recent national conference on strategic giving, hosted by the Canadian Association of Gift Planners. The conference offered a mix of sessions, from the technical aspects of charitable-giving vehicles to the inspiring stories about why people give and the impact their gifts have in our world. This year, there was a lot of “talking about talking” . . . how to add value to the relationship between the professional advisor and client or between the charity and the donor, by having deeper conversations about the motivations behind the gift. The facts and figures point to the urgency of having those conversations now, as we work together to release the good that is possible when Canadians are well positioned to make their chosen philanthropic gifts. That may be, for example, when a business is sold, an inheritance is received, or a legacy gift is planned. Or it may be as simple as when the time is right for the donor. By engaging in the conversation, the giving moments will be revealed. This article focuses on the advisor/client conversation. People have different motivations for giving. It is important for the advisor to discover the motivations to facilitate the right gift at the right time. In so doing, the advisor is adding value to the business relationship with the client. To gain a better understanding of the nature of the philanthropic conversation in Canada, the Canadian Association of Gift Planners, BMO Harris Private Banking, GIV3, and Philanthropic Foundations of Canada collaborated in 2014 on a research project, The Philanthropic Conversation, to explore the approaches of financial advisors in their dealings with High Net Worth clients. The idea stemmed from a US study that indicated many High Net Worth Individuals (HNWIs) would appreciate and value the advice of their financial advisors in helping them attain their philanthropic goals, but those conversations seldom happen. When they do, they tend to focus on the technical and tax aspects of giving, while the clients would prefer to talk about the “why” of giving—their passions and the impact they want to have through their gift. The US study also revealed this disconnect is not limited to the financial advisory profession; other professions were similar. The Canadian study looked at giving behaviours of HNWIs, motivations and barriers to giving, the nature of the conversation, and the benefits to both the financial advisor and the client of having those conversations. People give because they want to have an impact on their world, whether that is close to home or on an international level. They are passionate about a cause or they give as an expression of their compassion for others. Many want to support the community where they have lived and prospered. Others have a specific connection, whether it be a religious affiliation or a personal experience for themselves or a loved one. Low on the list of motivations is the tax saving. Generally, that affects the type or timing of the gift but is not a primary motivation for making the gift. By focusing on uncovering the client’s motivations through a discovery process, the advisor can match the client’s “why” with the mission of the charity and then with the type and timing of the gift, to facilitate the most effective plan. Advisors feel it is important and appropriate to raise the discussion of philanthropy with HNWIs. 91% of the advisors report they are having those conversations with many of their clients. The study revealed, however, that only 13% of the clients reported having meaningful conversations with their advisors. how to develop a tactical plan to manage their wealth to look after themselves and their families while also supporting the community. The key is a balanced discussion, taking into account the client’s values as part of the overall financial plan. 82% of the financial advisors in the study agreed that talking about philanthropy is good for business. Simply put, as the advisor gains better insight into the client’s needs, the relationship with the client is strengthened. High Net Worth Individuals agree. The advisor can help the clients understand how much they need for themselves and their family and, through careful planning, provide for heirs and their chosen charities. The holistic approach increases the credibility of the advisor and his or her reputation among the clients’ own circles. While the transfer of assets will result in a decrease in assets held under management by the advisor, seeing that as a negative aspect may be short-sighted. If the clients know the advisor is doing the best for them, they will continue to invest—both personally and financially—in that relationship, not only for their lifetime but perhaps by influencing the next generation. Advisors may be interested in having the conversation but some are reluctant because they’re not sure how to go about it. Ask clients open-ended questions to explore these areas. Consider what resources the client has, what he or she wants to accomplish, and how best to implement a plan to meet those goals. Some HNWIs reported concerns about whether their gift would be wisely used by the charity and whether they would receive more solicitations after making the first gift. The advisor can further strengthen the relationship with the client by taking the following supportive actions. Learn where to get information so the clients can be assured their gift is being well used. Check with the charity to review audited financial statements or annual reports or look online to review the annual tax return filed with Canada Revenue Agency. Ask about the impact of the gift and how the ultimate beneficiaries of the gift are being helped. For more information, talk to a community foundation or United Way. As funders of local charities, they have direct knowledge of local issues and the charities that are working to solve them. Encourage clients to talk to the charity regarding what they would like to receive in response to their support. Show the client how the gift can be tax effective and efficient. For the businessowner, for example, where gifts are made by the corporation, there is a deduction against the income of the company that may be claimed against up to 75 percent of the corporation’s net income in the year of the gift. Any unused credits may be carried forward for 5 years. Where a gift of publicly listed securities is made, the capital gains tax is eliminated. Plus, the full capital gain that is eliminated is credited to the Capital Dividend Account that allows for tax-free withdrawals of other money from the corporation. Although for the purposes of the research, those studies focused on the HNWI, many of the findings and recommended steps to encourage giving are universal and grounded in the simple act of talking about giving, no matter the wealth of the client. Financial advisors, lawyers, BC Notaries, and accountants and other wealth-management professionals are well positioned to release the good that will come from those focused and informed conversations. Charities are well positioned to show the impact of this philanthropic support. Yes, we all have work to do to build on the strengths and to address the concerns. By working together, we can provide the best possible environment for Canadians to give and make transformational change in our country and around the world. While giving may include gifts of time, talent, or treasure, this article is focused on gifts of treasure. This post was originally published in The Scrivener magazine, June 2017. What do planned gift counting policies have to do with collaboration, blended gifts and performance metrics? Stop Procrastinating and Start Planning. How wilderness survival & estate planning go hand in hand. Sara Neely is the Director of Philanthropic Services for the Victoria Foundation, Canada’s second oldest community foundation. Sara joined the Foundation in 2008 and works with professional advisors and their clients, builds relationships in the community and enhances services provided to individuals, families, businesses and charitable organizations that have established funds at the Foundation. A native Victorian, Sara graduated from the University of Victoria Faculty of Law in 1982. Her law degree provided a varied career including criminal prosecutions, civil litigation and will and estates. It was through her work acting as counsel for the BC Children’s Hospital Foundation (and managing its estate gifts) that Sara was introduced to the role of a gift planner. In 1993, she joined the staff at BC Children’s Hospital Foundation where she served as the Director of Gift & Estate Planning for over 14 years. Sara has been an active member of the Canadian Association of Gift Planners since its inception. She was a founding member of the advisory board for Gift Planning in Canada and contributed dozens of articles to that and other industry publications. A frequent speaker, Sara believes in sharing her experience, learning from her peers and mentoring those who are new to gift planning. 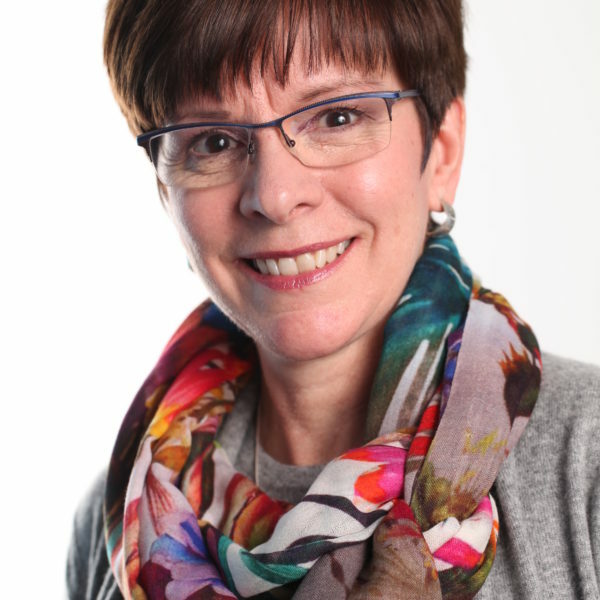 She was the founding chair of LEAVE A LEGACY™ British Columbia and has served on the executive of CAGP’s Vancouver and Vancouver Island Chapters. Sara is a proud “Friend of CAGP”.